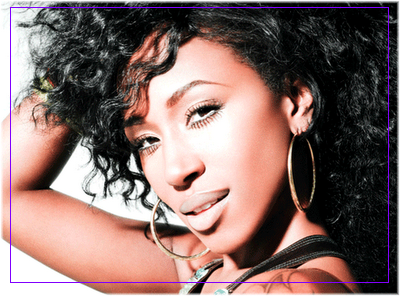 KayKiSpeaks.com: #PressPlay @Ms_Hummingbird (Tweet) Gives Us Our Groove ( & Her Beaautiful Voice) Back on This Epic Cover of "Day Dreaming"
#PressPlay @Ms_Hummingbird (Tweet) Gives Us Our Groove ( & Her Beaautiful Voice) Back on This Epic Cover of "Day Dreaming"
Yaaasssssssss!!! (Thats an extremely dramatic yes for those unfamiliar) I am telling yall I'm way too hype about this Tweet record!! Tweet has one of the most incredible instruments known to man. It's just hers. We music lovers have been waiting not so patiently for her return to us and it looks like it's well underway. Tweet recently signed with DuBose Music Group and we're anticipating her next album, Simply Tweet to drop sooner than later!! Tweet is one of those singers with a classic sound, so naturally she sounds perfect on this cover of Aretha's infamous Day Dreaming! Check it out below- mobile users click here for youtube!! Whew! This feels SO GOOD! #AwwAlert Somebodys having a baby!!!!! New Video: Usher - Scream! Beyonce to Star in New Film!! !